Join & make a stand! The Boston Tree Party is an urban agriculture project, a performative re-imagining of American political expression, and a participatory public art project. At its core, the Party is a diverse coalition of organizations, institutions, and communities from across the Greater Boston Area coming together in support of Civic Fruit. 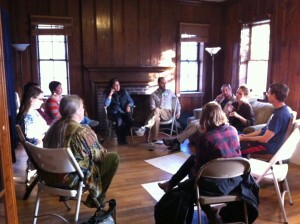 During the course of the Boston Tree Party’s work we’ve gathered an extensive amount of information about heirloom apple trees and civic fruit. At its heart, this project is about sharing, so we very much want to provide this information to everyone, whether or not you are part of the official project. 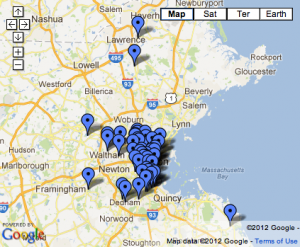 The Boston Tree Party Delegation Map & Directory is complete! 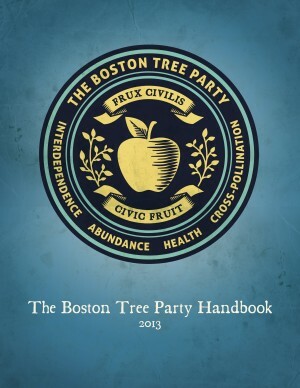 We are very excited to announce that we have finished the official map and directory of the Boston Tree Party. Thanks to all of our Delegates who joined us for our first Delegation Convention this past Sunday! We had a great time and hope the afternoon was enjoyable and informative for all.